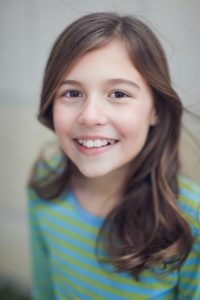 Ruby Reeves (Annie) is a sixth grader at Little Rock Christian Academy. She is making her debut appearance with Praeclara in Annie. Some of Ruby’s favorite past roles include Jasmine in Aladdin Jr., Grace Farrell in Annie Jr. and Little Timoune in Once on This Island. She also appeared last year at The Rep in A Christmas Story. In her spare time, Ruby loves playing guitar, piano, ukulele and practicing impersonations.